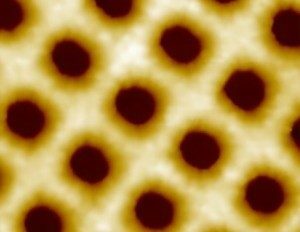 2D gratings can now be manufactured by the established Phase mask principles by simply exposing the wafer through an Ibsen 2D Phase mask at Bragg angle incidence, similar to the well known NFH Phase mask mode of operation (i.e. 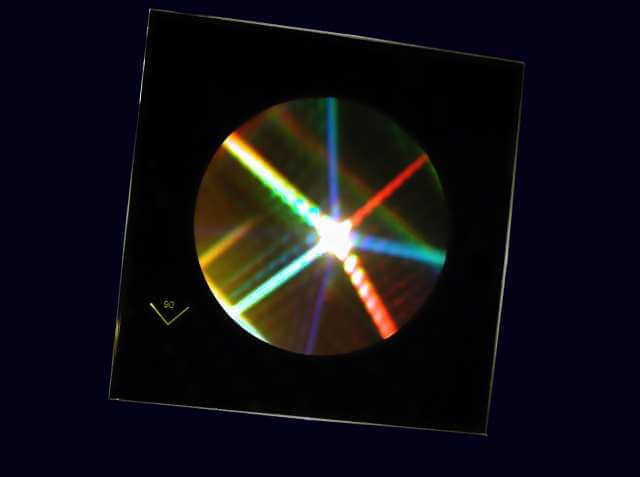 Bragg angle illumination). • Inherently free of stitching errors. The 2D square lattice Phase mask is illuminated at the Bragg angle, similar to the well known 0/-1 order Phase mask principle. The 2D Phase mask diffracts this illumination into multiple orders – the coherent interference pattern between these accurately reproduces the 2D Phase mask periodicity. Our innovative production techniques allow us to manufacture Phase masks with periods down to 200 nm, while the 2D Phase mask principle of operation limits the upper lattice periodicity to 687 nm (with 435 nm illumination).